A few months back, we added the Quick View Modal feature to the Customers module within Syncro. We received user feedback following this update, which requested that we add Custom Fields to the Quick View modal so you can access even more information you keep on your clients via Custom Fields in the quick and easy-to-use format of the Quick View Modal. Well – you guessed it – this is now available! 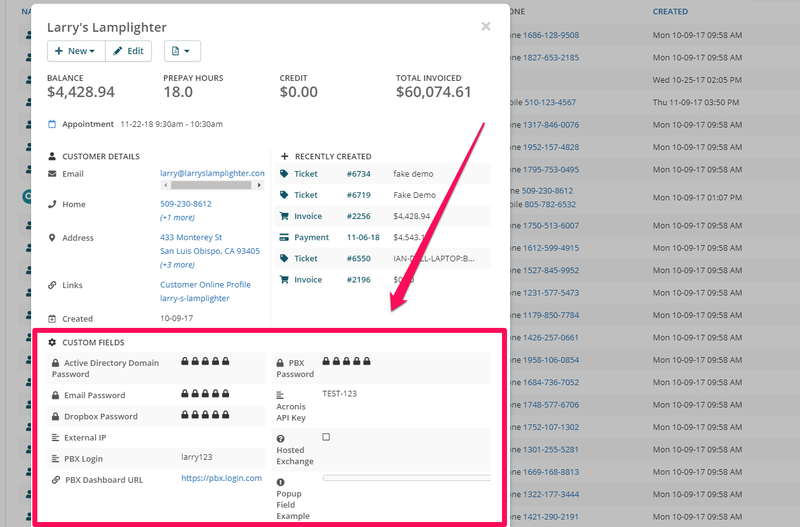 Simply head into the Customers module within your account, and click on the magnifying glass icon on the far left side of one of the clients you have listed in the Customer table. Your Custom Fields will now appear in the Quick View Modal for the client. We hope you enjoy this simple, but useful update and look forward to bringing you more soon! For more information, view the Customer module section of our Help Center here.